Northern Minnesota has been a great place to be this October; the weather has been great. My friend, Chuck has been here from Indiana visiting relatives and friends and was with us for a couple of days. We fished the river Friday and Saturday, twice each day for a couple of hours. Friday fishing was slow. We caught three walleyes to keep and released a 24″. 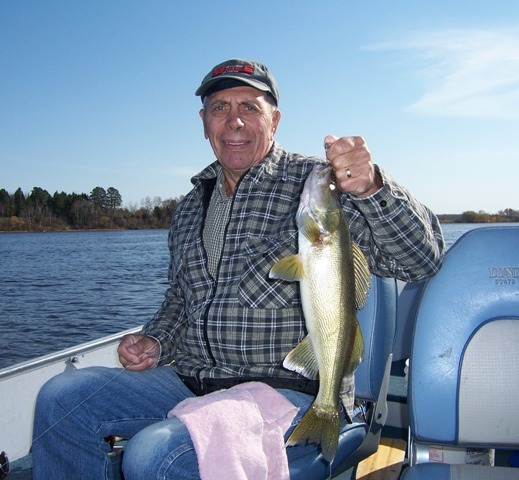 Saturday was better; we kept two walleyes and release a 21″ in the morning and kept six walleye and a sauger in the afternoon. They are all really nice fish and made for a good fish fry. Sunday, Don, Sue, Diane and I fished the late afternoon and came in with six walleyes and one sauger. 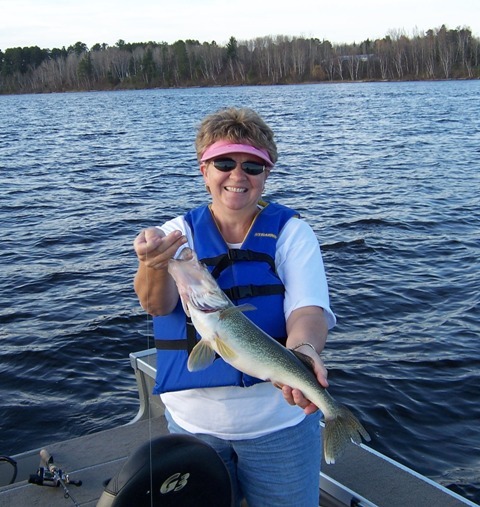 Sue had the hot hand; she caught four of the walleyes plus a 22″ slot fish.